A bunch of you have been asking how we celebrated Rich's birthday, so I thought I'd tell you about the great restaurant we went to with his family in Harlem last week- Covo Trattoria E Pizzeria. (It's almost where we had Richie's Baptism Party- so we were happy to finally check it out and to taste the food). This is a great place tucked underneath the West Side Highway just north of Fairway. 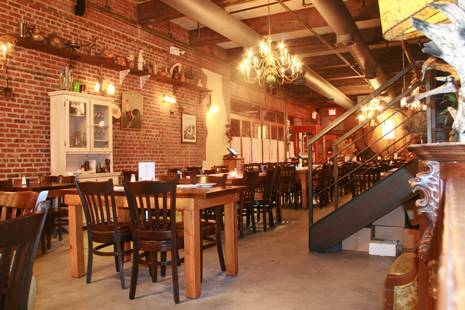 The restaurant is located inside of a former commercial space, but the inside Tuscan decor will make you forget about that the second you walk in the door. This is good Italian comfort food at reasonable prices. Their pizzas are fabulous- made in their brick oven. 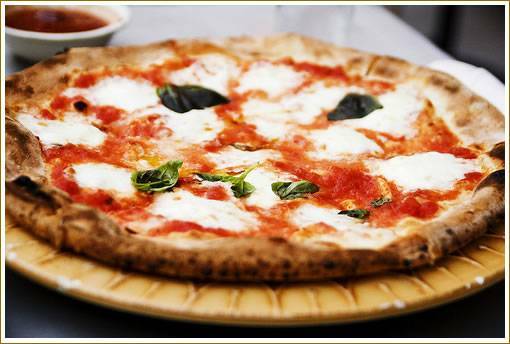 We started with their Margherita (tomato sauce, fresh mozzarella and basil) and fell in love!!! The crust was sweet, crunchy and nice and thin- just the way I like it. 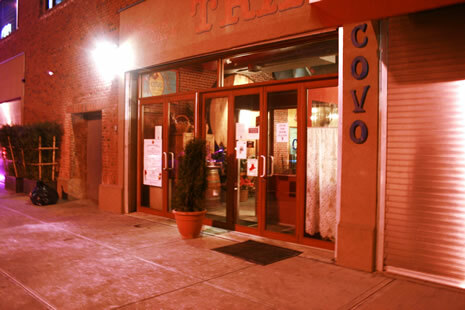 All in all, I would recommend Covo if you are in Harlem, or the Upper West Side, or just looking to try a new Italian spot in the city. Bon Appetito! Happy Weekend to you and you and you!